The Old Bahama Bay Marina is located in West End, Bahamas, only 55 nautical miles from Palm Beach. The facility is a full-service marina destination with 72-slips featuring a controlling depth of 8 feet at mean low tide and 24-hour security. One of the only night navigable nautical points of entry in the Bahamas, Old Bahama Bay offers quick and efficient on-site Bahamian Customs and Immigration. 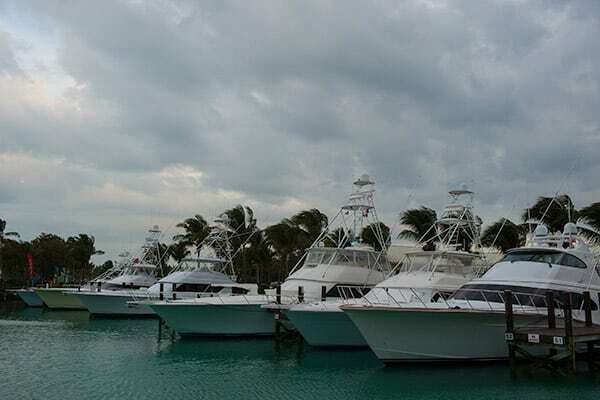 The state-of-the-art facilities make Old Bahama Bay the ideal haven for transient and long-term marina guests. The Marina at Old Bahama Bay is the perfect destination for boating flings and rendezvous. Group rates are available and our staff can arrange group activities, beach cookouts, mini-tournaments – whatever your group is looking for! Group rates are also available in our luxury resort accommodations. Old Bahama Bay was the first Bahamas marina to earn the Blue Flag accreditation. If boaters want to be members of Individual Blue Flag, they can request an application from the Old Bahama Bay Marina. Blue Flag Memberships can be purchased at Old Bahama Bay for $25.00. For more information on Blue Flag. *Please note that these routes begin at a location that is easily reached from each start location, such as a known buoy or marker. The routes take you to the entrance of Old Bahama Bay. For your convenience, we’ve provided one of the best charts to be found depicting the approach to West End from the Gulfstream and Atlantic Ocean. The chart is provided as a courtesy of Lewis Offshore Ltd., publishers of Explorer Charts. For a complete selection of their Bahamas charts, click here. 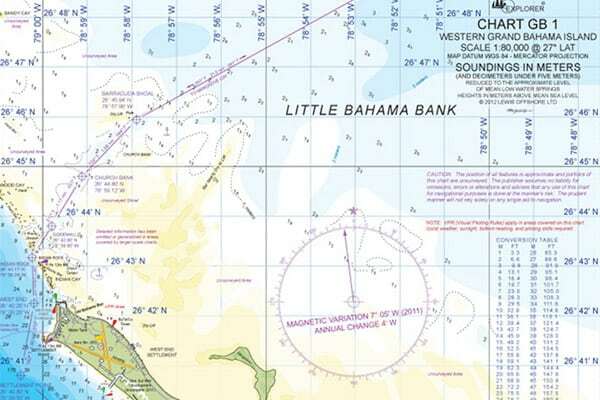 For navigational guidance to and West End, including headings to and the Abacos, click here. For detailed navigational guidance into Old Bahama Bay, click here. Owing to the continual shifting of sands, mariners who are not regular visitors are recommended to verify current conditions with the Dockmaster by calling 242-350-6500. Resort Fee – per boat (regardless of number of passengers) for guest usage of WiFi, fitness center, snorkel equipment, bicycles and water toys. Applies only to boats with guests sleeping aboard. Length of Stay – for visits longer than 3 months, contact Dockmaster. 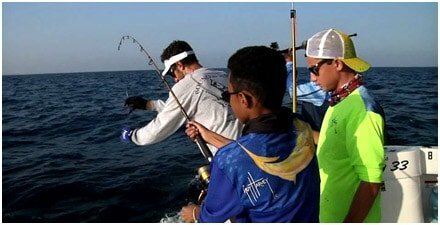 It is prohibited to bring sharks into the marina for any photographic or trophy display purposes or for any cleaning or processing of the shark for fins, meat, jaws, or any other by-product. 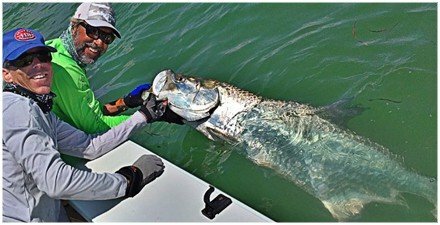 Old Bahama Bay, a Guy Harvey Outpost Expedition Property participates in the Shark Free Marina Initiative in order to encourage shark conservation by prohibiting the landing of any shark at the participating marina. To learn more about this initiative, click here. There is a 30 foot minimum on all rates. Bahamian Government charges $250 per vessel 30′ and under; $400 per vessel 31′ and above includes clearance, cruising permit and fishing fee for up to three people; $20 per additional person. Fees are valid for two entries within a 90-day period. Cash is the preferable payment form. First night of dockage is required to confirm reservation. Deposit requirement for long-term is one month dockage fee. Three night stay is required for all major U.S. Holiday Weekends, including Memorial Day, July 4th and Labor Day. In addition, a 3 night deposit required, with cancellation policy of 30 days out for these holiday weekends. Reservation cancellations made within 48 hours prior to scheduled arrival, and no-shows, will forfeit any deposit paid. However, if the cancellation or change is due to weather we reserve the right to hold the deposit and it may be used toward a future stay up to 6 months after the day of cancellation. 20% discount on dockage and no mandatory charge for water. *Prices in U.S. Dollars and subject to change.